Meet Renee VanDuvall Anderson. She has vision beyond the natural. She has a God given ability to see into a person’s situation and condition. She is always sought after by relatives, peers and colleagues seeking encouragement, and direction. Her gift of intuition is remarkable and has been enhance by training under the guidance of Dr. Doris Morgan, who is her personal coach. Renee uses her coaching skills to lead people to the Lord, as she aligns them with scripture to support the direction God always intended them to pursue. Her passion is to help her clients reach their goals while maintaining a high standard of ethics. Her approach to coaching encourages her clients to blend their desires with a focus and understanding of the Word of God, which ultimately accomplishes change personally and professionally. Renee is currently Marketing Manager for Lifebuilder's and a practicing Biblical Counselor. In addition, she is a Charter member of Lifebuilder's Counseling Services Institute. For a counseling appointment, she can be reached at (213) 200-2852. Cheryl is a Certified Professional Faith-based Biblical Counselor and a Marriage and Family Therapist Intern. 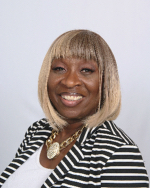 She is the owner of Abundant Life Counseling Service and the Coordinator for the Betty R. Price Counseling Center at Crenshaw Christian Center. Cheryl has earned a Certification in Professional Faith-based Biblical Counseling from LifeBuilder’s Counseling Services Institute under the direction of Dr. Doris G. Morgan, a Bachelor of Science Degree in Psychology with a concentration in Child Development from Kaplan University, a Master’s Degrees in Counseling Psychology/Marriage and Family Therapy from Argosy University. She is well qualified, equipped and empowered to encourage and guide clients to reach their greatest potential. Cheryl believes that faith in God along with doing the Word of God is the only thing that will bring you out of darkness, confusion, depression and whatever else may be torturing you. She also understands that faith without works is dead. In her counseling service the main principle is to teach. She teaches how to apply the word of God to people’s lives so that they are living in victory as God intended. God tells us through Jeremiah 29:11 He has plans for welfare and not calamity to give us a future and a hope. Paul prayed that we prosper and be in good health as our soul prospers (3 John 1:2). When hurting people really understand that, they get better and they allow themselves to walk in the healing that Jesus gave us. She has had great success in helping victims of suicidal ideation, depression, anxiety, low self-esteem, communication conflict, sexual abuse, and other life altering issues. Cheryl’s signature saying is: No matter what you see, hear, smell, taste, touch or think; remember everything is still already alright because we all have the potential to change! For counseling, she can be reached at (888) 308-7590. Meet Dr. Linda Hall Gray. She specializes in Identity and Self-esteem issues from a Biblical orientation. Through her organization, Teaching of Christ Ministries and other churches, she has worked with young children and youth up to 17 years old. She uses Biblical strategies to focus on the oppositional defiant child, attachments, anxiety, depression, grief and loss issues. The Lord placed on her heart to further her education in counseling and life coaching. Consequently, Dr. Gray is an alumni of Friend’s International Christian University where she received a Master‘s degree in Biblical Studies, and Doctor of Ministry, with an emphasis in Pastoral Counseling. In addition, she sought after a certificate for Professional Biblical Counseling & Coaching through Lifebuilder’s Counseling Services Institute and also received instruction from Dr. Doris Morgan via DVD media training while at Friend’s International. For counseling, she can be reached via telephone at (424) 227-9986.